In 2000, American filmmaker M. Night Shyamalan released a much-anticipated follow-up to his acclaimed debut The Sixth Sense. Amid numerous comic book adaptations on TV and cinema, Unbreakable achieved critical and financial success and managed to stand out as an alternative superhero film. Unbreakable ended up being the start of the Eastrail 177 trilogy, with his latest feature bringing the series to a head. Following the events of Split, Glass sees David Dunn (Willis) use his abilities to track down Kevin Wendell Crumb (James McAvoy). When they are unexpectedly captured, they are assessed by psychiatrist Dr Ellie Staple (Sarah Paulson), along with another patient – Elijah ‘Mr. Glass’ Price (Samuel L. Jackson). Marking the first superhero film trilogy to be notably written and directed by one person, the Eastrail 177 trilogy stands out among the offerings from Marvel and DC Films. But it has taken Shyamalan (and audiences) 19 years to get to this point. During this time, his films have failed to reach the same level of acclaim since The Sixth Sense, with some relying on a twist ending to elevate their plots. But with the trilogy, Shyalaman is trying to redefine the genre with his own unique take. However, Glass is supposed to be an origins story. To some, it is the film where our protagonists are established as superheroes and given monikers for both admirers and fearers to refer them to. But this is not your normal origins film. By the time the film starts, Shyamalan has already established our heroes and villains, thanks to Unbreakable and Split. Instead, he leads audiences on a path towards yet another potential cinematic universe, but it is a plot element that is as underwhelming as it is unnecessary. 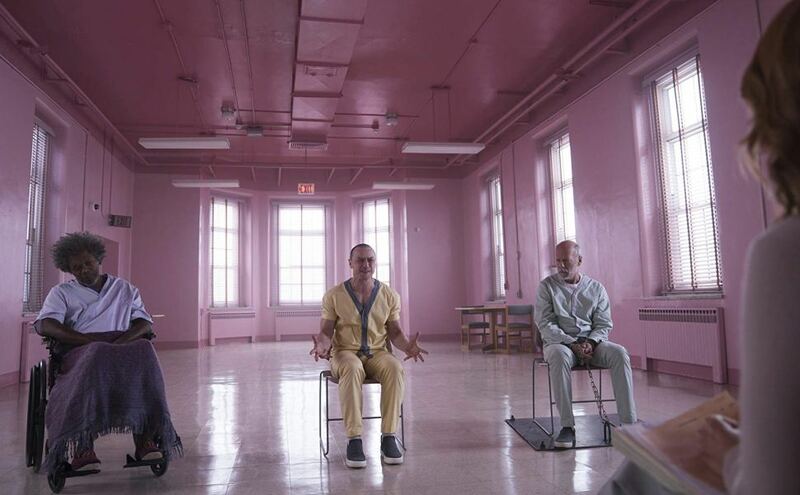 With slight references to One Flew Over the Cuckoo’s Nest and The Shining, Shyamalan creates a visual vibe that keeps audiences on their toes. Amping up the creepiness through ominous interior shots and views via security cameras, audiences are led to not believe everything they see. This is supported through the duplicitous nature of characters, not to mention the cloak-and-dagger build-up to the anti-climatic showdown. In addition, the script has a handful of funny moments but they don’t tie in well with the overall vibe of the film. The occasional joke throws off the tone and therefore audiences are left wondering whether there is anything to take seriously from the plot or its characters. McAvoy easily puts in the most complex performance as he effortlessly conveys more emotions than Willis and Jackson combined. With an eerie sense of the softly spoken Nurse Ratched, Paulson’s Dr Ellie Staple is calmly sinister as she tries to dispel the notion of superheroes. To quote Mr Glass, this is supposed to be an origins story. However, during the 19 years between Glass and Unbreakable, there are better ones out there. Glass is out in UK cinemas on 18 January 2018.